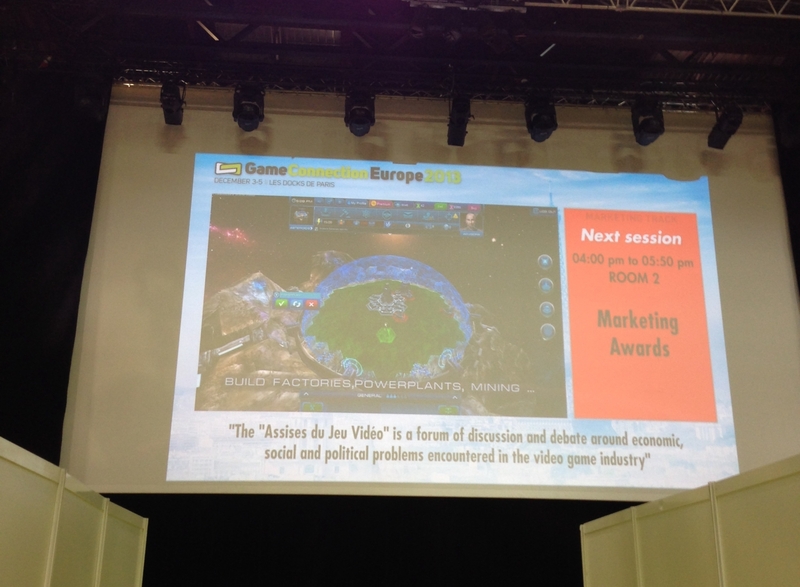 Game Connection Europe 2013 took place December 3-5 at Les Docks de Paris, France. In total over 1627 industry professionals from more than 51 countries worldwide gathered in Paris, to do business, grow networks and share knowledge with the best in the business. AstroLords was a Table Exhibitor with its table on Main Alley number 546, easily recognizable because of bright AstroLords roll up banner! We made almost than 40 meetings during 3 days! That’s amazing! The most profitable conference for us is Game Connection! Also, our Astro Lords: Oort Cloud was nominated for Selected Projects awards at “Online” category, which was held on Tuesday 3rd December, from 10 am to 11h50 am. 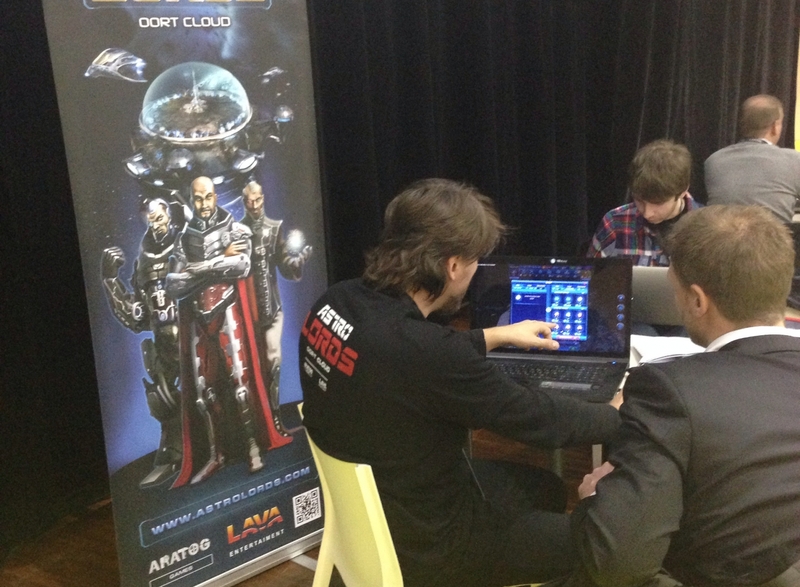 Our CEO and Executive Producer Arseniy Nazarenko made a great pitch presentation of AstroLords and it attracted many famous and huge publishers. 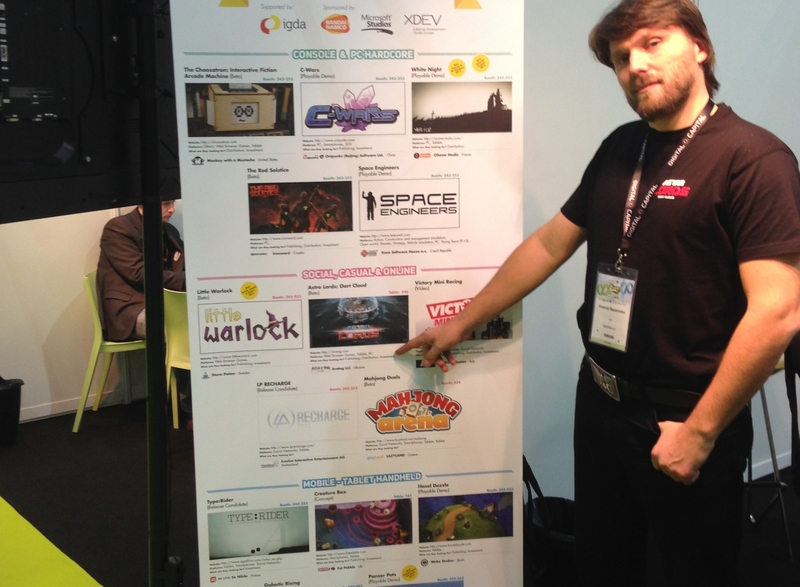 The video trailer of AstroLords gameplay was shown on the biggest conference screen on main alley during all three days of event. Our main goal for Game Connection was to find publishers for PC, Web and other platforms for AstroLords or funding to development of our other games. And we got a success! Thanks again to Game Connection for great conference and its organization! We love Paris and Game Connection!